Are you moving locally, such as Westland to Livonia? Moving to Taylor or Dearborn? Men on the Move can make your local move simple and easy, why bother with the headache of moving your self, when Men on the Move can do it for you. With our free residential moving quote, we can give you a fair assessment of the cost of your next move, and show you why Men on the Move is the number one choice when it comes to moving in Michigan. Take the time to fill out our quote form now, you will be glad you did! 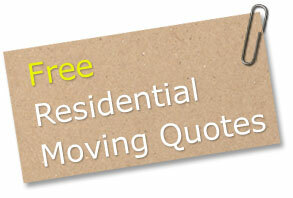 Our free quotes are always hassle free. Is your business planning on moving facilities? The moving process can become a huge headache for business owners. Why let the stress of moving weigh on your mind while you try to run your business? Let Men on the Move take the stress of moving your business away. Our professional insured movers can make you next commercial moving experience a quick and flawless one. Fill out our free commercial moving quote, now, and let Men on the Move handle your next commercial move.